1 Who is Derek Theler? 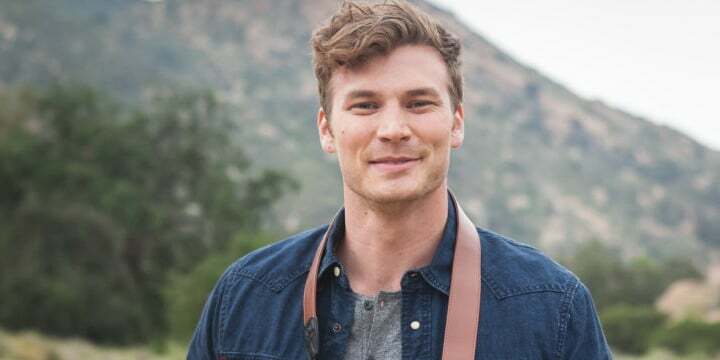 Derek Theler was born on 29th October 1986, in Fort Collins, Colorado USA, and is an actor and model, probably best recognized for his roles in popular TV series such as “The Middle”, “Cougartown” and “The Hills”, as well as for starring in the role of Danny Wheeler in another TV series, “Baby Daddy”. He is also known for directing his own short movie entitled “Intrusion”. Moreover, he appeared in the music video for Rihanna’s song, “So Hard”. There is not much information about Derek’s childhood, only that he was raised by his parents in a loving home in Fort Collins, with his sister. When he was only three years old, he was diagnosed with Type I diabetes, but his father loved playing a lot of sports with Derek from a very early age. Derek became interested in sports himself, and started playing football, swimming and riding motorcycles, so upon matriculation, he enrolled into Colorado State University, from which he graduated with a degree in Sports Medicine and Nutrition. If to talk about his career, after graduating Derek realized that he was interested in acting as well, and started auditioning for minor parts in various TV series. He made his debut appearance in an episode of the series “The Middle”, which was followed by his appearances in other series’, such as “Cougar Town” and “The Hills”, all in 2009. During the same year, he landed the role of Cliff in the short film “G Love”, after which he guest-starred in two episodes of the TV series “The Tonight Show With Conan O’Brien” (2009-2010). During the next two years, he continued to appear in support roles in such TV titles as “Vampire Zombie Werewolf” (2010), “Conan” (2011) and “90210” (2011), among many others. It is also known that he auditioned for the “Captain America’s” cast, but wasn’t chosen for the part as he was still at the beginning of his career and he didn’t have much experience. Thus, he decided to try himself as a director, producer and writer, of the short film entitled “Intrusion” in 2010. His acting breakthrough came in 2012 when he got his first major role, chosen to play Danny Wheeler, the brother of the title character, in the ABC Family’s comedy series entitled “Baby Daddy”, which aired until 2017, adding a considerable amount to his net worth. This role earned him two nominations for Teen Choice Awards in 2013 and 2016. Concurrently, Derek won the role of Derek Moore in the 2012 film “Camp Virginovich”, directed by Michael Carrera and Russell Stuart, which was followed by his portrayal of Riggins in the TV series “Project: SERA” (2013). Derek’s next two major roles came when he featured as Chase Walker in the film “Shark Killer”, and starred in the role of Jordan in the film “How Sarah Got Her Wings”, both in 2015, increasing further his popularity. In 2016, Derek appeared in the role of Jake Kenman in the TV film entitled “Secret Summer”, after which he made a guest-starring appearance in the widely popular YouTube series “Princess Rap Battle”. 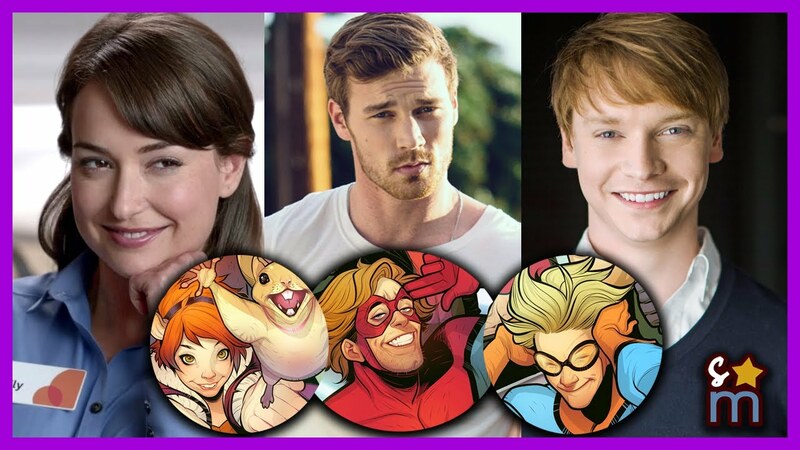 Moreover, the year 2018 brought him a new breakthrough, because he appeared as Aric Dacia/X-O Manowar in the web series “Ninjak Vs The Valiant Universe”, and most recently it’s been announced that he will feature as Craig Hollis/Mister Immortal in the TV series “Marvel’s New Warriors”, which is scheduled for a release late in 2018. Parallel with his acting career, Derek pursued his career as a model, and received numerous offers thanks to his good look and natural appearance on TV. He appeared in a commercial for Coke Zero, which came to be widely popular, and which caught the attention of some important people and companies who wanted him for their campaigns and commercials, so he made appearances in the campaign for State Farm, and in commercials for some of the most famous and prosperous companies in the world, such as Nike, Kayak.com, Arby’s and Verizon. His career started in 2009 and since then, he has been an active member of the entertainment industry, primarily as an actor. So, if you ever wondered how rich Derek Theler is, it has been estimated that the total size of his net worth is over $3 million, accumulated through his successful career. When it comes to speak about his personal life, Derek Theler is not married, however, he is currently in a relationship with famous actress Lisa Marie Summerscales. It is known that he has had a lot of girlfriends in the past, many famous, including actress Meredith Giangrande between 2010 and 2012, after which he dated actress Chalsea Kane, and then Christina Ochoa from 2014 to 2016.His current residence is in Los Angeles, California. Speaking about his appearance, Derek is supposedly handsome, with blue eyes and light brown hair. In addition to his sports education, he tries to keep his body in the best shape, with a height of 6 feet 5 inches (196 cm) and weight that is reputed to be around 218 lbs (99 kg). Additional to his involvement in the entertainment industry, Derek Theler is in his spare time a very active member across many of the most popular social media sites, including his official Instagram and Twitter accounts, on which he has a huge number of followers. Furthermore, Derek has his official Facebook page, on which he frequently posts pictures from his private life as well as information about his forthcoming projects.